If you are a regular reader of my blog then you will know that I am a massive candle addict! I have such a large collection of candles that it's boarding on un-storable, in fact right now I'm a woman on a mission trying to finish off all my half burned large jars to free up storage space. It's not a bad problem to have though really! Yankee Candle are my favourite brand of scented candles. They release about four brand new fragrances each quarter, however this year we seem to be getting a lot more than that - they're being generous! I've seen previews of what's coming up and for the first time I think we're actually getting better ones than the US (in my opinion) which makes such a nice change as I'm usually really envious of the fabulous choice they have! I usually get the tarts/melts in all the new fragrances when they're released to try as I find it's the best & most cost effective way to trial fragrances before deciding whether you want to buy a jar. Melts generally throw out a strong scent in its purest form as there is no wick. I thought I would review all of the scents that we are getting in the UK over the course of this year. Giving each a score out of ten after I've sampled them. The spring quartet is named the My Serenity Collection - incidentally one of the Pantone colours of the year for 2016 is also called my serenity (a pastel lavender/blue) so I guess that might be why they named this collection. I was very excited to try all of these as they sounded right up my street and all in nice spring pastel shades. 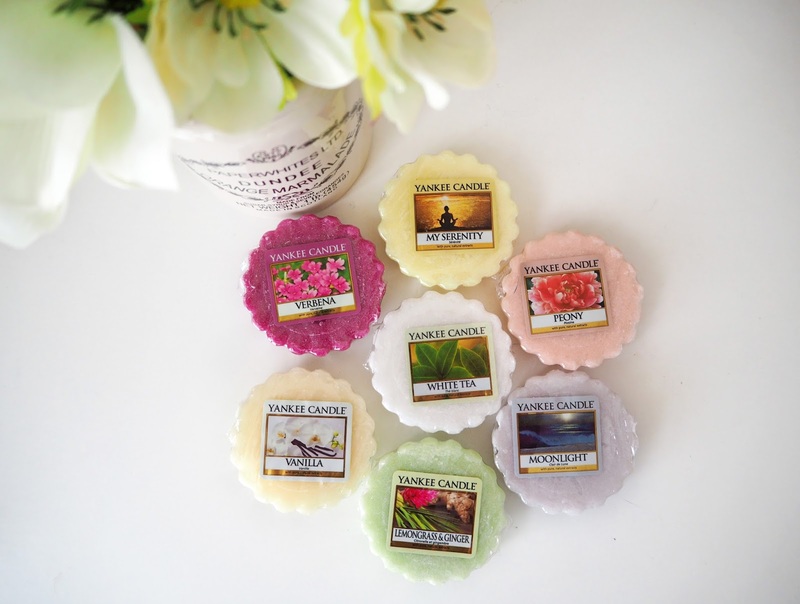 In the early part of last year Yankee released a range called pure essence which included: Aloe Water, Cassis & Shea Butter. 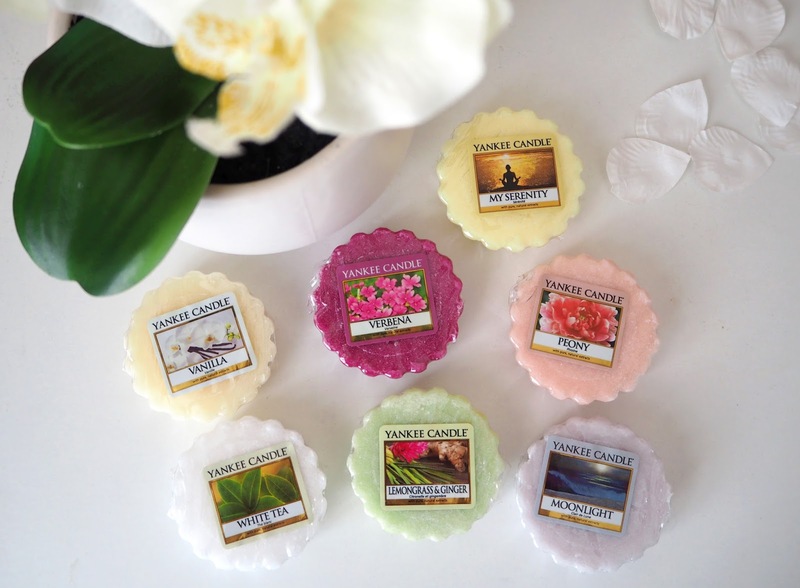 All very pure, calming, comforting & almost spa-like scents that became very popular. So to follow on this year they have created another 3 fragrances to add to this range. Overall I think Yankee have made a very good start with their 2016 releases. Look out for my upcoming review on the next quartet called Riviera Escape.